Here are a few of my favorite picks this month shared with #whatsonmycoffeetable on Instagram. 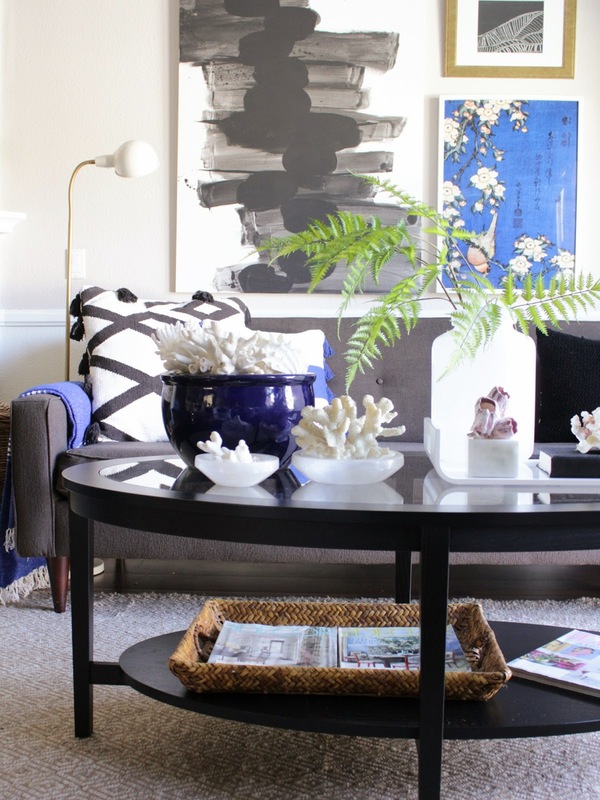 Loving the serene color scheme and beautifully displayed shells. This month, my coffee table is in full summer mode. 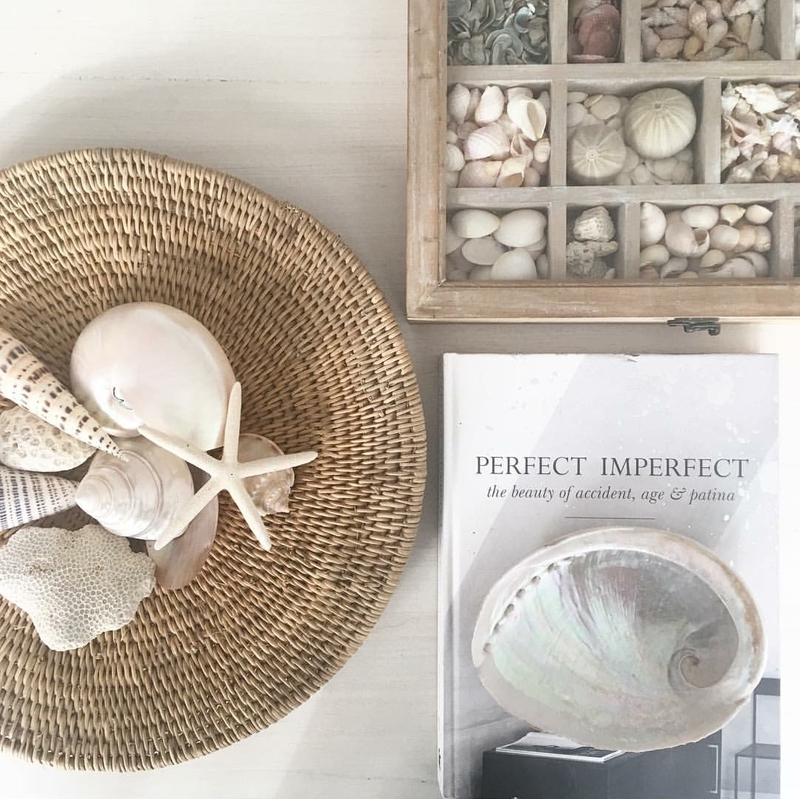 Although I’m not of fan of summer and despise the hot temperatures I do enjoy bringing a casual, summer vibe to my home. 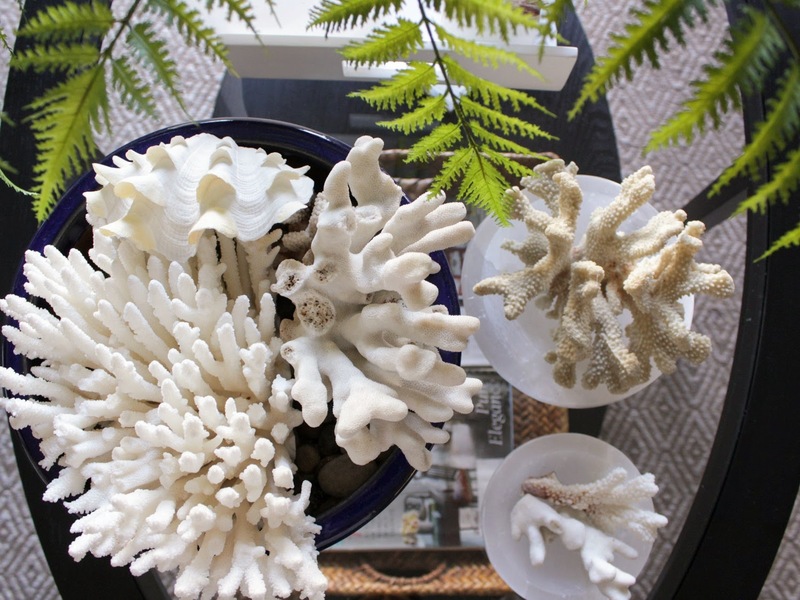 I have a collection of coral and shells that I usually keep in a lawyer’s bookcase but during the summer I like to display them more prominently like in my living room and in this case, my coffee table. 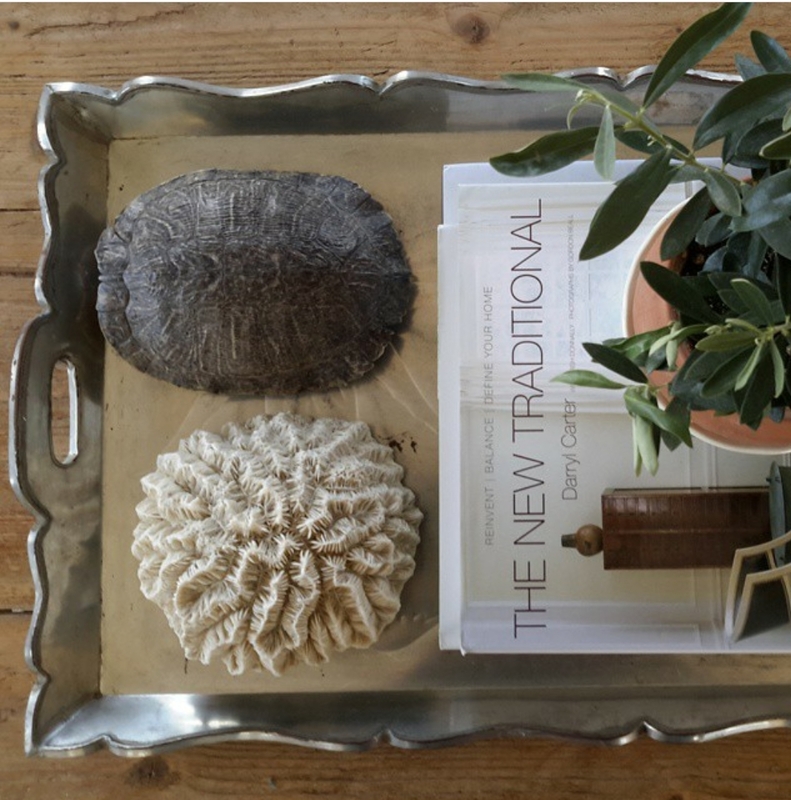 There are 4 basic items that I think everyone needs to style any surface and that’s trays, boxes, books and bowls. If you have a few of those items handy then you’re pretty much set. 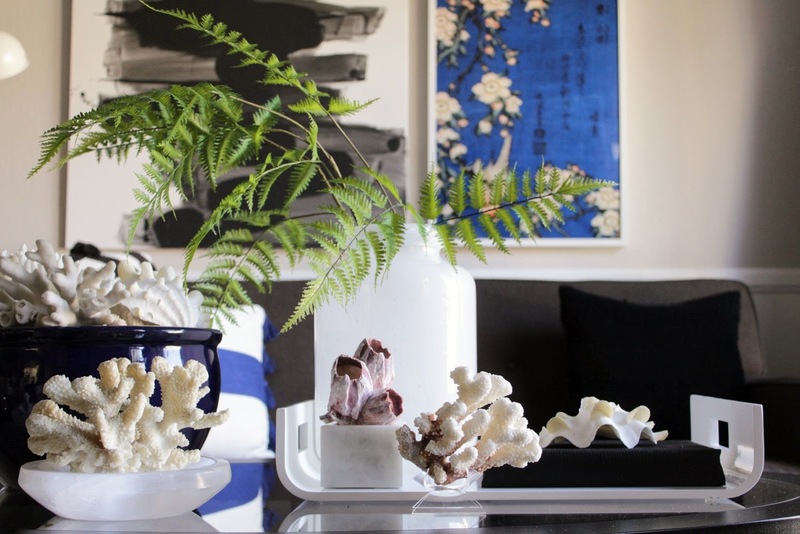 All you have to do is find some interesting things to layer on top of those items, like plants, flowers and in this case, shells and coral for summer. 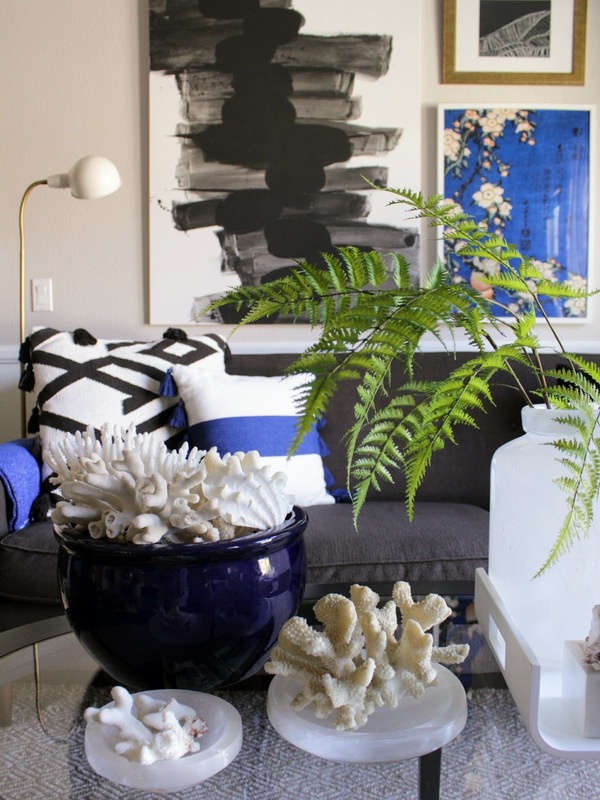 My main piece on the coffee table is a navy ceramic planter that I filled with coral. I also scattered a few more shells housing them inside boxes and bowls. The finishing piece on my coffee table is a large vase with a few branches. This gives the table some height plus the greenery adds some life and freshness. Check back next month and see what I have on my coffee table for fall! I can't believe summer is almost over! (Looking forward to it). If you're not subscribed to my blog, please do so before leaving that way I can send you a short email letting you know when I post here on the blog. 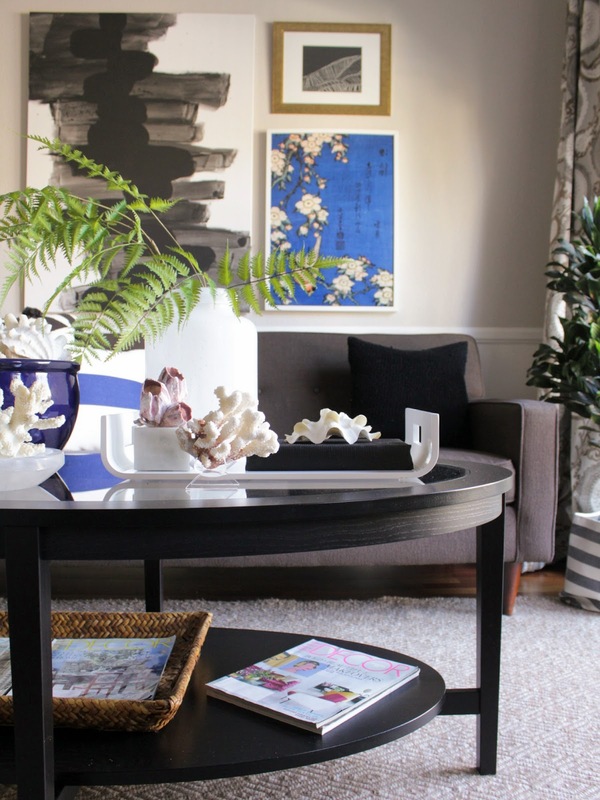 AND if you're interested in browsing other posts on coffee table styling then click on "What's On My Coffee Table Series" in the blog menu. PLUS, I have a PINTEREST BOARD dedicated to all things coffee table so check that out and give the board a follow too!